A friend with a close up view of RIOC, the state agency controlled by Governor Andrew Cuomo in the style of an absentee feudal lord, scanned RIOC's proposed 2018 budget and wondered aloud, "Have you heard the expression, 'spending like a drunken sailor? '” In the immediate shadow of President Trump's grandiose military parade proposal, he mused over doing one that might give everyone a good, long - very long, actually - look at what RIOC's been doing with the figurative buckets of cash sitting around 591 Main Street. With an existential crisis facing the Roosevelt Island Youth Program, a group of concerned parents makes an appeal as a vote that will mean life or death for the program is set for Thursday's RIOC Board Meeting. We are publishing the full text of their outreach without editing, except for graphic features we cannot duplicate. Stung by public protests over the Public Safety Department's handling of crime reports, the Roosevelt Island Operating Corporation released a open letter in response. We are publishing it in full, without editing. It's taken RIOC over a year and a half to figure out who should run the Roosevelt Island Youth Center, but the State agency needed less than a day to find a law firm, Bond Shoeneck & King, headquartered, not in New York, but in Syracuse, to act as a venomous conduit for personal attacks on Youth Program Executive Director Charlie DeFino. 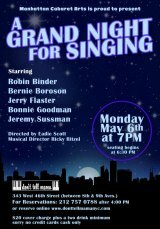 Two events this week show, in no uncertain terms, how far we’ve drifted from Roosevelt Island’s original vision — the City of Tomorrow, now a Land of the Lost with memories stitching it together. "It’s about to get a little easier for Roosevelt Island visitors with cars to patronage Main Street’s shops, restaurants, delis and theatre," reads RIOC's February 2nd press release. Okay, so they probably meant "patronize," not "patronage" - Hint: patronage isn't a verb - but otherwise, it was right on the money. But the real news is how dazzlingly ill-conceived this gem is. In most disputes, figures involved choose to take the high or the low road, sometimes a blend of both. But confronted with a tense community, its anger fueled by racial and class divisions on Roosevelt Island, RIOC Board Chair Alex Valella stunned a packed audience at last night's Board Meeting by choosing "none of the above," hustling out of 8 River Road as if being pursued by ghosts. RIOC scored yet another failure in leadership certain to aggravate harsh feelings and deepen scars while the interests of local children increasingly risk becoming collateral damage. Opinion: For those of us who grew up believing that Parent Teacher Associations have better things to do, the shock from last year's antics hadn't faded before PS/IS 217 PTA's flawed leadership took another miserable turn, again twisting the RI Parents' Network into a self-serving cesspool. 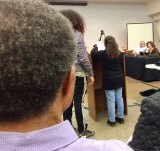 Unwilling to accept a favored vendor's losing out in a fair contest for rights to manage the Youth Center, PTA President Erin Olavesen publicly announced a plan to derail an award to the Roosevelt Island Youth Program. What followed is a disgrace to the community. Again. 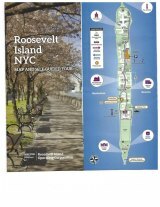 Early this month, local resident and marketing consultant Janet Falk discovered something in a visit to Sportspark: a Roosevelt Island NYC Map and Self-Guided Tour produced by RIOC. There has been no public announcement and copies were not provided to the Historical Society's Visitor Center. We can only hope it was a limited printing - very limited - of a brochure, riddled with errors, that gives every indication that it was composed by someone unfamiliar with Roosevelt Island.